—quite successfully—and had plenty of. Husband loves pickled turnips and finally had a reliable source to make his own. Admire those imported turnips as I might, I just didn’t see them in my gardening future. But I’m here to say I might be wrong. This year my thinning method has been regular, and I have been rewarded so far with lovely white cherry-size turnips that are really fun to cook. My favorite recipe is from Deborah Madison’s Vegetarian Cooking for Everyone. Her simple one-pot method is to boil the green tops in a kettle of lightly salted water covered with a steam basket of about a dozen young turnips; both take no more than 12 minutes. After draining the greens, toss them with fresh thyme, a little butter, and salt and pepper, mound them on a serving plate and center the little white beauties on top. Or you could do as I did and just drizzle greens and turnips with a little olive oil and add fresh lemon wedges. Beautiful to look at, yes? And delicious! If I don’t keep eating them this way, some of my turnips just might make it to baseball size yet. Wow, great photos of a great veggie. But please add a fork to the next photo of the cooked turnips so we readers can take a taste. They look oh so yummy. And to think I forgot to buy rutabaga seeds this year. Yum, that looks great! Looks like a great way to eat them. You've both hit on the elation factor, so important to us gardeners, and they talk about a runner's high. I thoroughly enjoyed reading this. I may have to try that in my garden next year! 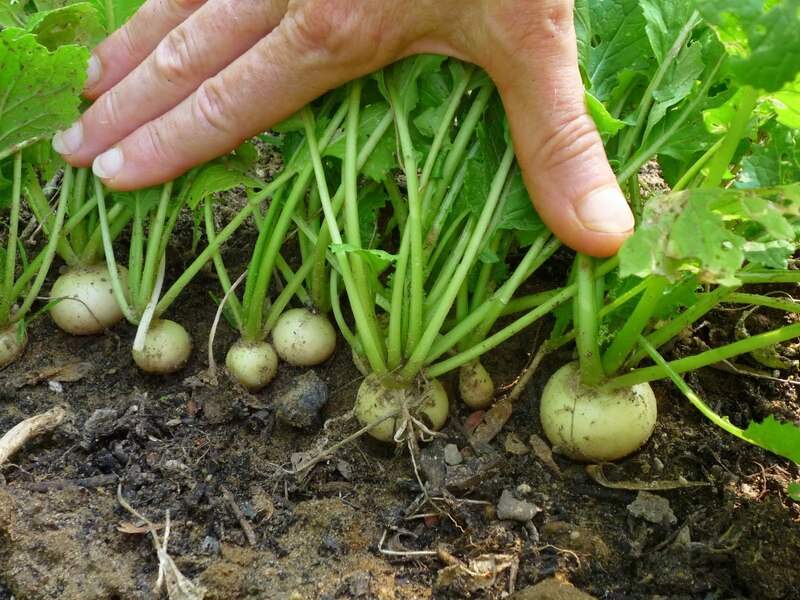 This was a great one to share – I had not tried to grow turnips, but seeing the little one makes me want to try next year. I need to try to grow turnips! Your dish looks yummy! But you could try for a fall crop. 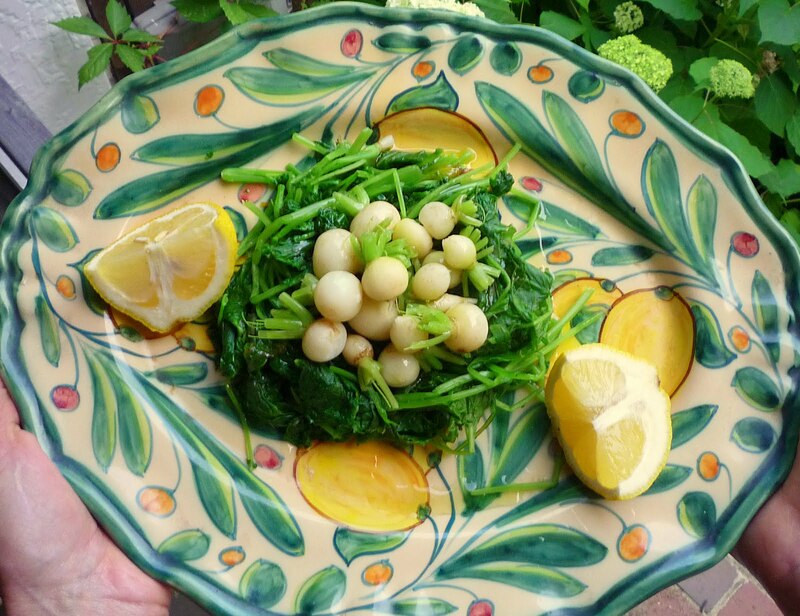 After preparing this dish I wanted more baby turnips, too, so bought enough seed to plant in late July, which should give me some young turnips in September.